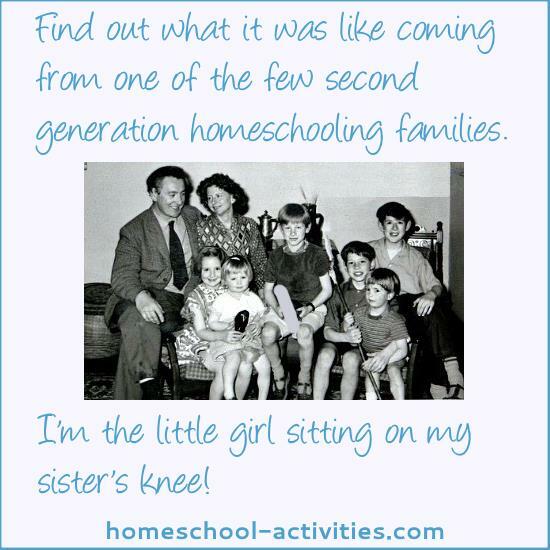 I am one of the very few second generation homeschooling families. 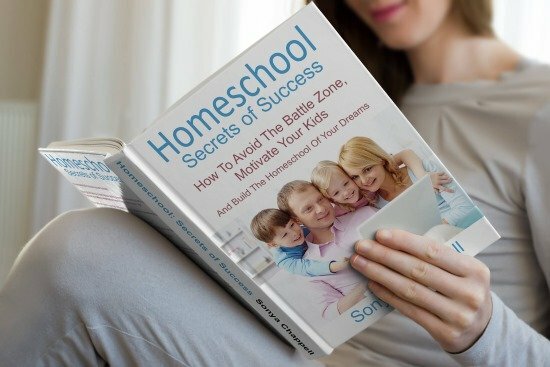 If you're about to start homeschooling, my free Guide will offer some living proof that your kids will thrive without school! I was taught at home myself and now I homeschool my own children. 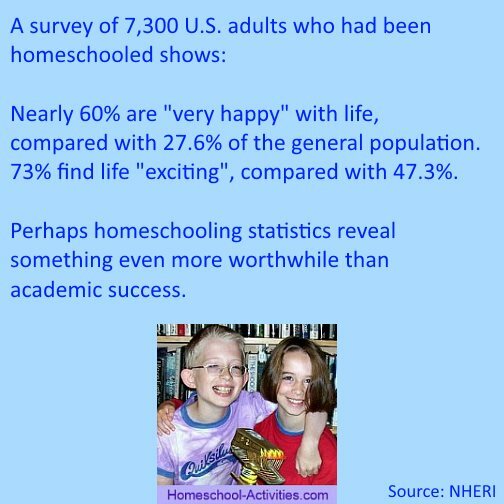 That gives me the confidence to know that homeschooling your child is the best decision you ever made. This is my Mom and Dad with my brothers and sisters, most of whom were homeschooled. I'm the little girl with blonde hair sitting on my sister's knee. I hope that by telling you what it was like being homeschooled and why I decided to teach my own children you'll be encouraged to see what a wonderful opportunity you and your family have. Above all, I'm hoping my free Guide will help you get started on homeschooling and find your way through some of the wobbles we all go through! Back when Mom and Dad decided to start homeschooling, teaching your child at home was unheard of. So it's interesting to see what problems they came up against. One comfort for us second generation homeschooling families is the realization that all educational policy is a product of its time. Arguments you will face now when you start - like the socialization question - simply didn't exist back then. When I was a homeschool child, no one, including my Inspectors, would ever have thought of asking how many friends came round. It simply wasn't considered anything that a parent need worry about. So that helps - because it puts your decision to start in perspective. 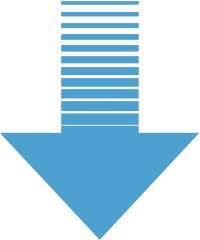 What the experts think changes all the time. There is no 'right' way to do it - and schools don't have all the answers! I can help you with unique tips which can only come from being one of the very few people taught at home myself. In terms of background, I think Mom and Dad were fairly unique. 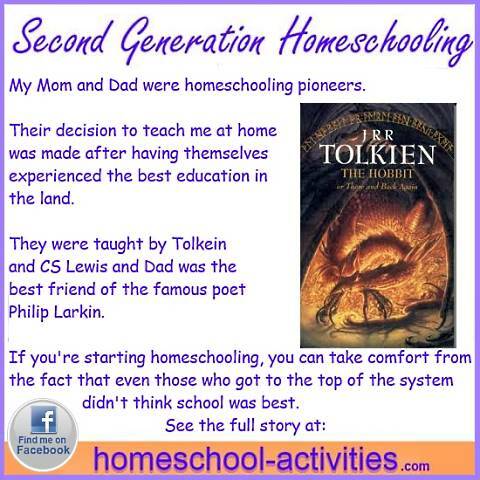 Not many of us second generation homeschooling families have been taught by Tolkein and CS Lewis! They lectured Mom and Dad at Oxford University. Mom was one of the very few women accepted to study there. Dad was the best friend of Philip Larkin, giving up teaching to become a poet himself. My memories of Dad were of him determinedly bashing out poems in his two-fingered way on an old typewriter in his study overlooking Morecambe Bay, while a crackling Beethoven record played in the background. From this, you might gather that my family was a bit unconventional! And that is something you have in common - because, like it or not, teaching your child at home makes you unconventional - and some of your friends aren't going to like it! Homeschooling is still something 'normal' people struggle to grasp and I've no doubt dealing with the relatives is as hard now as it was then! When Mom and Dad chose homeschooling, they were way ahead of their time. I think all these years on many of us still feel the same! Choosing not to send your child to school throws into doubt some of society's most deeply held convictions. And it is that questioning attitude of mind which you will share with my parents, myself and all families who are about to start homeschooling. The comfort is that the ability to see through much of the accepted wisdom of academia came, in my parent's case, from having experienced the best education in the land and being themselves trained teachers. 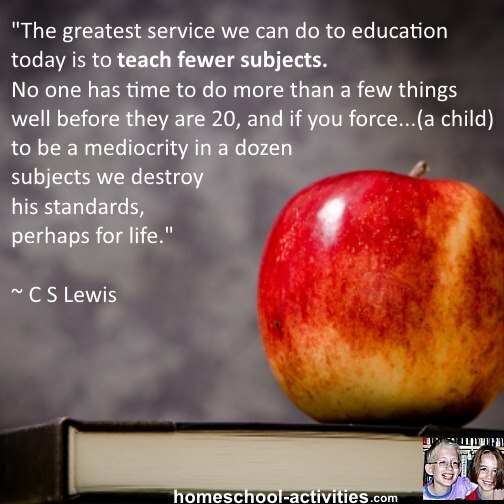 So, if you're thinking of starting homeschooling, you'll be pleased to know that even people who "succeeded" and got to the top of the old system don't necessarily think it's the best idea! 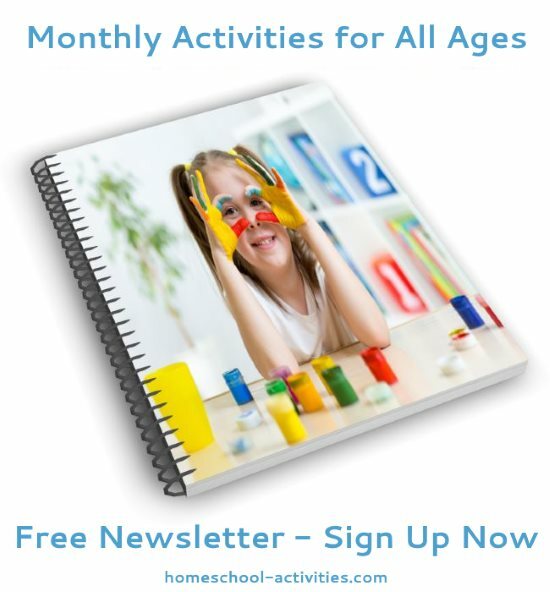 Don't miss out on the next installment of my Free Guide to Start Homeschooling. P.S. 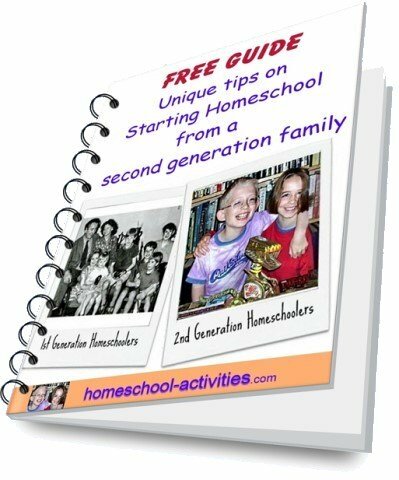 A special thanks to my friend Julie from homeschooling-ideas.com for encouraging me to write this free Guide from the unique perspective of a second generation homeschooling family - and especially to get me to interview my Mom about what it was like teaching me! 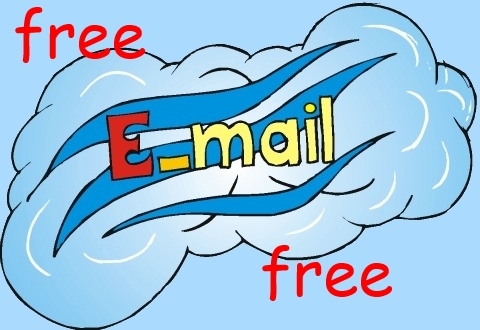 When you sign up below, I'll send you the rest of my free Guide to How to Start Homeschooling. This is the first installment of my Guide, but the other 7 installments are exclusive to My Guide and you'll need to sign up to see them! Although I wrote this Guide with those starting out in mind, you can get a lot out of it even if you are already homeschooling! Reassurance to know that everything will work out in the end.